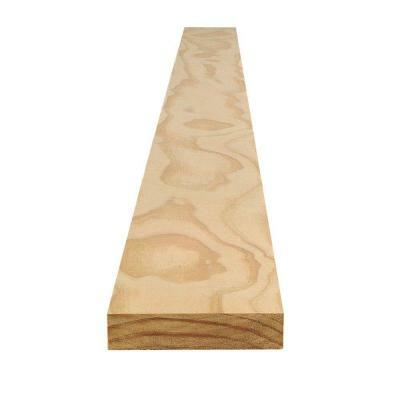 5/4 Pine stock – at Home Depot? So I ‘m at Home Depot earlier this week, to pick up the 1×5’s I use to create the lattice under the router cabinet base. I get frustrated at the lumber racks when people move stuff around, but don’t put it back. I reached into the 1×5 rack to start moving the 1×4’s out of the way, and the first thing I notice is these critters are THICK! what the heck!?!?! it’s not as thick as a two-by, but it’s nearly that thick. And it’s not construction lumber – holy smokes… When did Home Depot start selling their premium pine lumber in 5/4″ thickness? I have to rethink a couple of projects for the classes now – I’ve used 3/4 pre-processed stock in classes because it works well for the dovetail router jigs. However, I’ve also used it in projects that would have benefited from heavier stock. Now I have another option. This entry was posted in Supplies on May 16, 2014 by bkbiggs.